Calories in, calories out. That’s the basic, if grossly over-simplified, equation for human metabolism. We shovel in calories every time we eat, and then burn them off during the daily grind of life—while sleeping, working at our computers, and (hopefully) getting plenty of exercise. Activity-tracking wristbands like the Jawbone UP24 and Nike Fuel Band can do a pretty good job of telling us what’s happening on the back end of the “calorie in, calorie out” equation. They use accelerometers to monitor our exercise, then map that data against user-supplied criteria like age, height and weight. The wristbands then squeeze all this information through relatively pedestrian off-the-shelf algorithms to tell us how many calories we’ve burned. But the “calorie in” measurement remains a wearables industry challenge. Many activity-tracking wristbands integrate food-logging tools in their mobile apps to record calorie intake, but these functions are too time-consuming and clumsy. What the fitness-tech space really needs is a breakthrough in calorie-intake tracking—some kind of sensor-laden wristband that automatically records how many calories we’re consuming in the food we eat. Last October, the AIRO wristband created a splash when its development team, Airo Health, announced it had solved the automatic calorie-intake tracking puzzle. Or is it? In the last six months, two fit-tech companies claiming breakthroughs in automatic calorie-intake tracking have crawled out of the crowd-funding woodwork. Last October, Airo Health announced a wristband called AIRO that uses spectroscopic sensors to divine calorie intake through the surface of one’s skin. The company has since shuffled its executive leadership, and has refunded pre-order payments from initial crowd-funding backers. But its new CEO tells me product development continues apace. “We wouldn’t be working on it if we weren’t confident about it,” Naman Kumar, Airo Health CEO, says. It’s an incredible claim. And experts tell me it's all hokum. 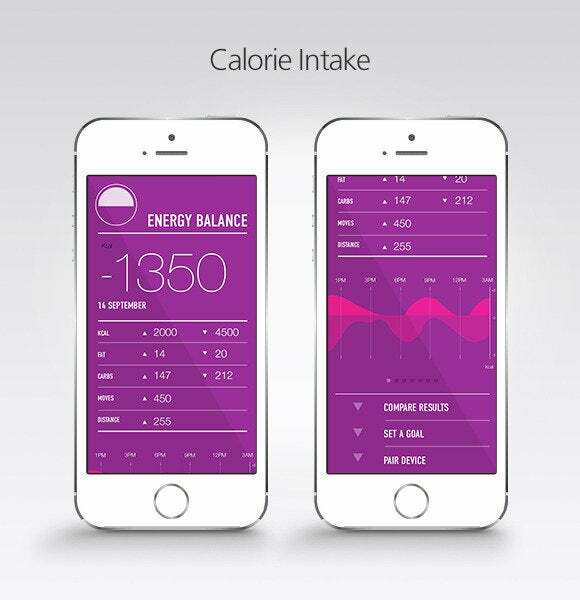 The Healbe team doesn’t mince words: Automatic calorie intake measurement is reality. “The physical reality is, this is just ridiculous,” says Ries Robinson, who has a medical degree from the University of New Mexico, a Masters in mechanical engineering from Stanford, and more than 20 years experience in developing systems for the optical measurement of body tissue. “It doesn’t work at a medical level. It doesn’t work at a practical level,” Robinson says of GoBe’s claims. Welcome to the wearables gold rush. Time, brain power and investment capital is pouring into product development of activity-tracking wristbands, smartglasses, and even smart jewelry. Intel is rumored to be acquiring Basis, one of the biggest names in fitness bands, and Apple iWatch rumors never seem to end. But there’s also an unseemly underbelly in the wearables space: Start-ups with dubious if not outrageous product claims are avoiding traditional venture-capital sources—which probably wouldn’t give them the time of day—and are heading straight to crowd-funding to jumpstart development. 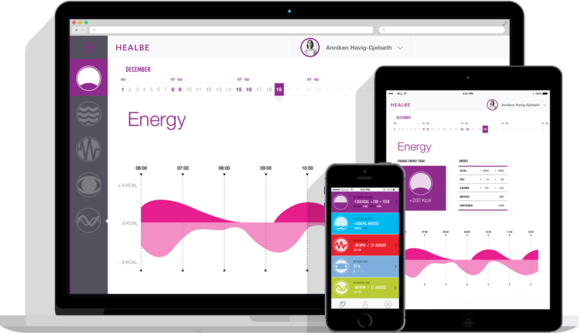 Healbe, for one, has already raised more than $766,000, far surpassing its original $100,000 Indiegogo goal. 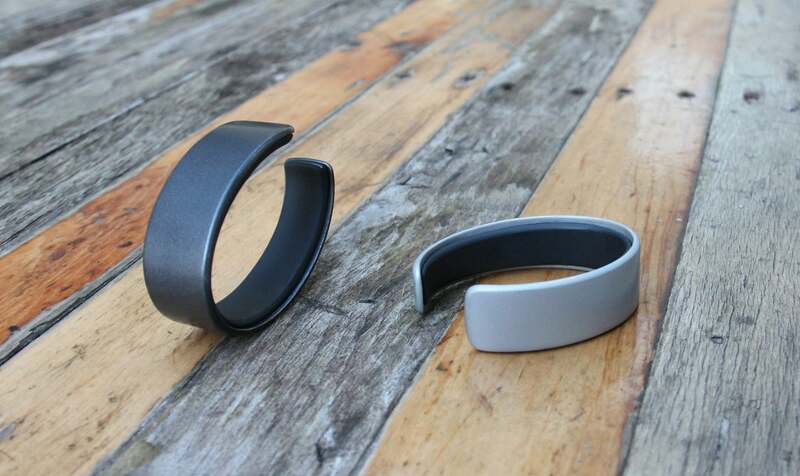 Its GoBe wristband looks like a complete, finished product—glossy and polished, with a cleverly designed companion app. The entire package appears right at home next to the Jawbone UPs and Nike FuelBands of the world. But does it even deserve to be considered a viable (let alone competitive) product? Healbe already has all of the GoBe’s product packaging figured out. 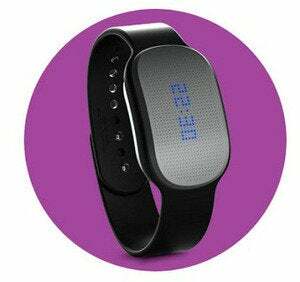 The GoBe band apparently uses three sensors to feed data to the FLOW Technology algorithm. 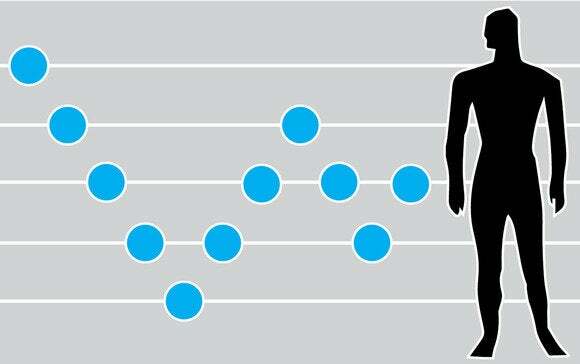 First, an accelerometer measures body movement. This is a tenable, unremarkable claim. Second, a “pressure sensor” reportedly “measures blood flow and heart rate.” There’s no scientific data that says a simple pressure sensor applied to the underside of your wrist can generate accurate heart rate data—especially in a $299 wrist-worn wearable. 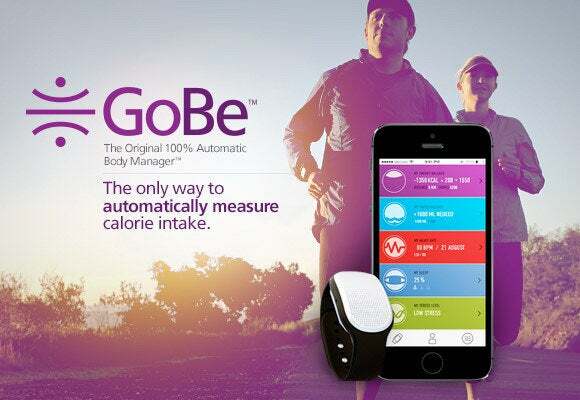 But let’s allow this claim to slide, as Shipitsin confirmed to me that the GoBe’s third sensor, an impedance sensor, is what generates the calorie intake data, and this is what concerns us today. 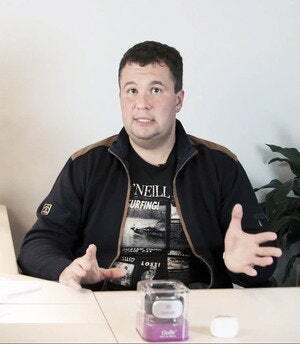 Artem Shipitsin, as he appears in Healbe’s video for introducing GoBe to the Indiegogo community. I’ve quoted Shipitsin’s email directly, without any editing for grammar, because his claims are material to the validation of Healbe’s science, and I don’t want to miscast anything he’s shared for the public record. But, Moscow, we have a problem: Ries Robinson, who’s in the small community of experts who study the non-invasive measurement of blood glucose, says it’s scientifically untenable to deduce intracellular glucose concentration from an impedance sensor measuring fluid levels in tissue. Moreover, Robinson says, intracellular glucose alone could never be a useful indicator of how many calories we’ve consumed. First, he says, we eat too many foods that are rich in fats and proteins—steak, fried fish, ice cream and guacamole, to name just a few. All these tasty treats are high in calories, but wouldn’t set off the glucose-based calorie measurement that Healbe says is the cornerstone of its product. Second, even if we ate an all-glucose diet—just sugars and carbs—much of the glucose that we stuffed into our mouths would be absorbed throughout the body before hitting the cells underneath our wrists. This fact alone impugns glucose monitoring as a defensible tool for calorie intake tracking. Ries Robinson is currently the CEO of Medici Technologies. Robinson isn’t the only one myth-busting Healbe’s claims. I spoke with Casper de Clerq, a partner with Norwest Venture Partners, a venture capital firm that looks for investment opportunity in the healthcare and wearables spaces. (It currently has a stake in Basis and Misfit.) He has years of experience studying what’s feasible and infeasible in the consumer fit-tech space, and he says he doesn’t believe either GoBe or AIRO are accurate enough to be useful. 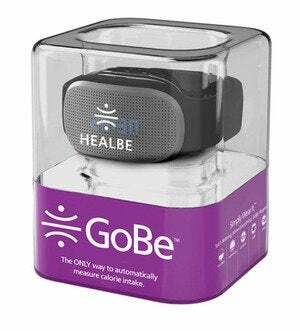 Another glossy GoBe product shot from Healbe’s Indiegogo page. Between the damaging comments of Robinson, de Clerq, and Michelle McDonald, a clinical dietician interviewed for a Pando Daily article on GoBe, Healbe’s claims appear to be the modern fit-tech version of snake oil. Yet Shipitsin stood by his science when I raised red flags. Casper de Clerq is a partner at Norwest Venture Partners. Wait, what? What’s all this talk about construction materials and climate zones? Let’s concede there may be a language barrier problem in Shipitsin’s email, and continue on. It says it right on the picture: Calorie intake is a GoBe feature. It would be overkill to litigate GoBe’s veracity any further here—because, after all, “internal tests of accuracy” are imminent, and it appears Healbe understands the public’s desire for serious scientific validation. (Consumers are already demanding answers on Healbe’s Facebook page and a Reddit thread.) Only time will tell if Shipitsin and his team can pull off a medical miracle (some would call it the cold fusion of wearable tech), or if Healbe will have to go the Airo Health route, and return to the drawing board. Within the context of automatic calorie-intake tracking, Airo Health, a small outfit based in Waterloo, Ontario, is the pioneer. That’s not necessarily a laudable distinction, but at least the company is contrite, and announced a refund of crowd-funded money after it determined its AIRO wristband lacks the accuracy to deliver consistent results.